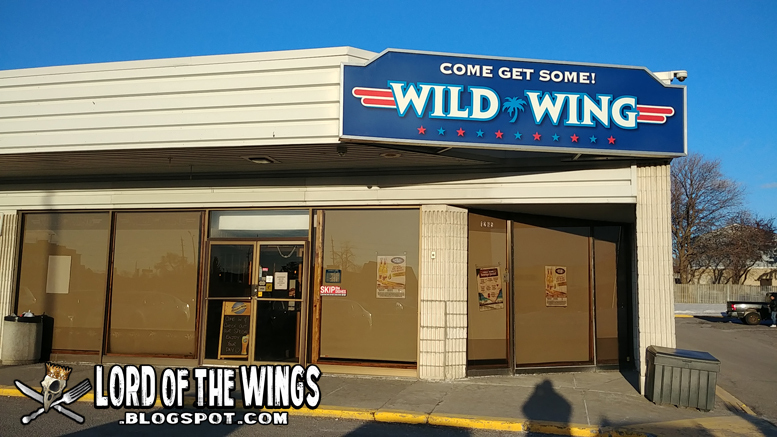 Back in 2009 Rick Smicklas opened Wild Wings in Sunderland Ontario; a wing joint that focused on serving a bunch of flavours. 20 years later, there are over 80 locations all over Canada. On March 17th 2019, Wild Wings celebrated with an AYCE wing or boneless chicken event, and I had to go check it out. 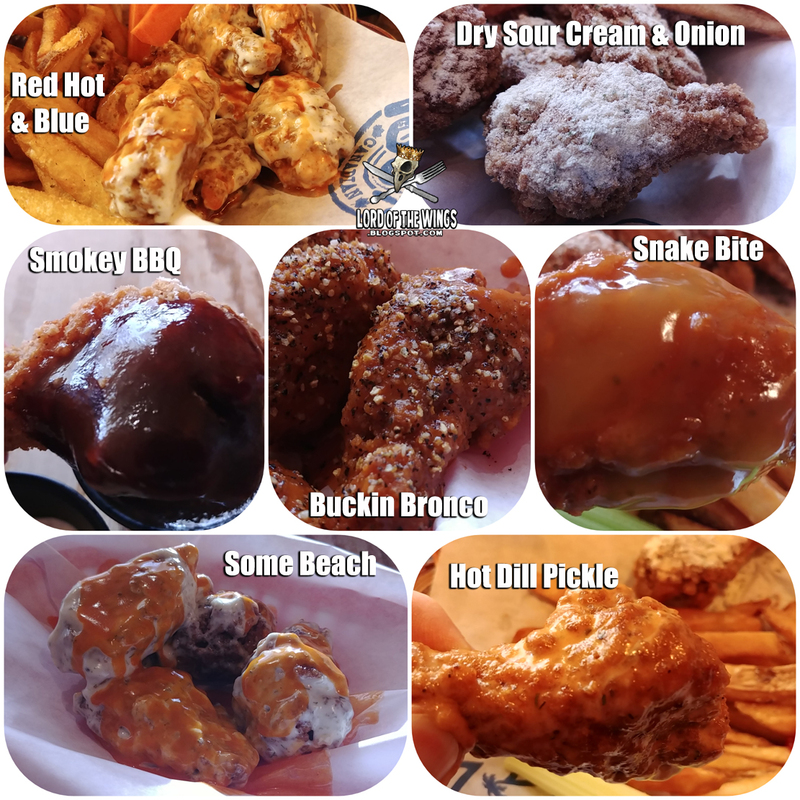 It was just last month that Wild Wing had an AYCE Bonless Chicken offering that I checked out and had a good time sampling different sauces. I convinced LJ for us to head out on St Patty's day for dinner to get our fill of chicken. We went for an early supper, around 4:30pm, so as to beat any lunch crowds (even though the deal was all day long). I skipped lunch because I wanted to be hungry, I mean HUNGRY when I went. 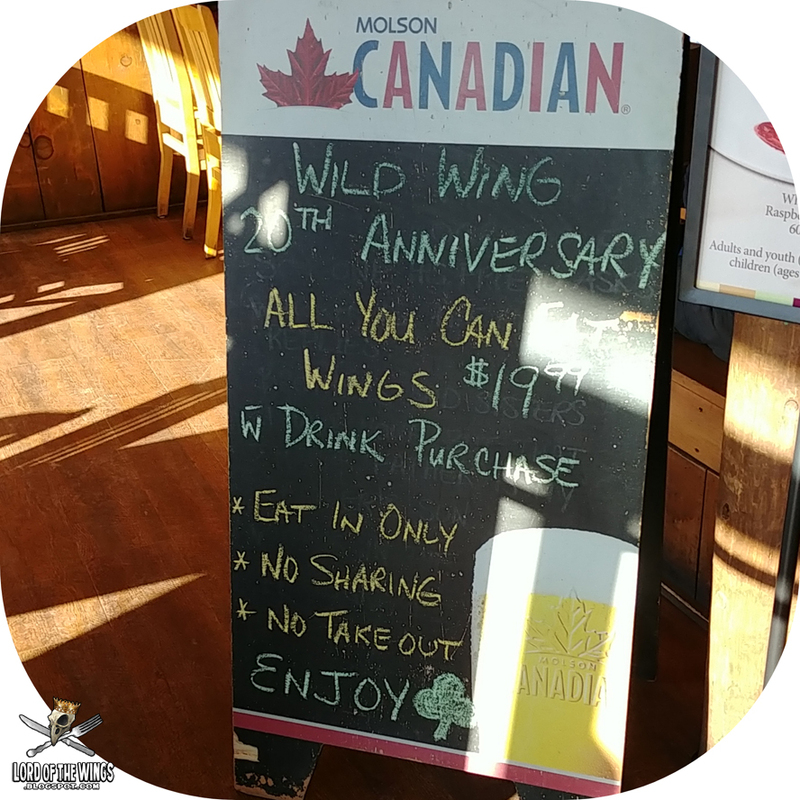 We went to the location off of St Laurent, which was one of the first Wild Wings I had ever been to. We got there and the place wasn't full, but it was busy. The waitress let us choose where we sat, so we picked the front window area, which was good at first but then the sun came blaring in. Another staff member came in and put the blinds down to stop me from being blinded. 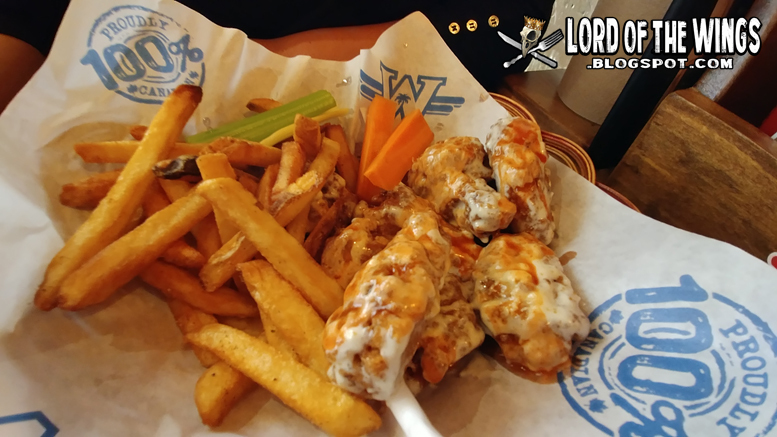 1st order of Wings or Boneless Chicken comes with celery, carrots, fries and dip. None of the rules or anything was explained to us, but I already knew the gist. Our waitress was friendly and while our first order seemed to take forever (it didn't, we were just hungry), subsequent orders didn't take that long. Our first round orders came with the fries, fake-fresh cut fries (they have skins on, but there is no way they are not from frozen - they are ok at best. Neither of us finished them). They also came with fresh veggies and the two of us went for the dill dip to go with them. We both did 3 rounds of wings and sauces. 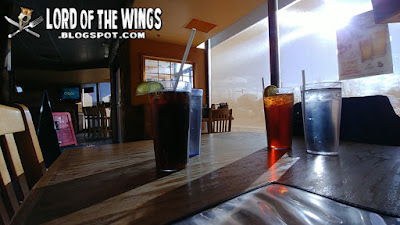 I was surprised and super impressed with my wife, who went for the wings over the boneless, and for going three rounds! We did a big sampling and tried a variety of sauces. 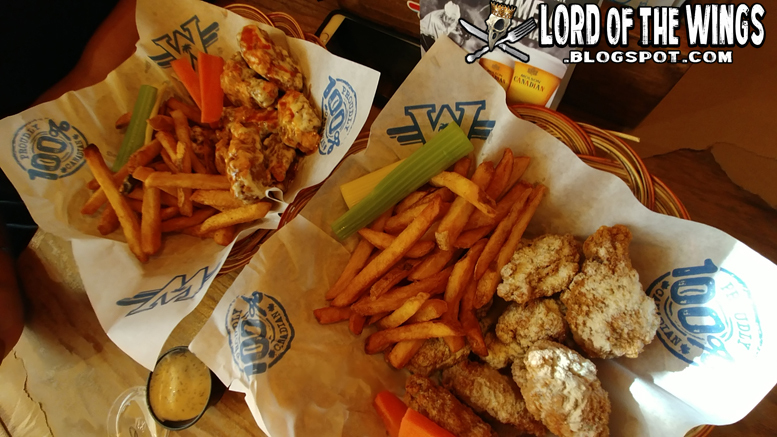 We both got the traditional breaded bone-in wings, which came fried crispy, hot, and hearty enough to stand up to some pretty thick sauces. The wings aren't large - they sit in a small+ to a medium in length, but they are pretty meaty. The first round was about 8 or 9 wings, with each refill being 5 wings per order. 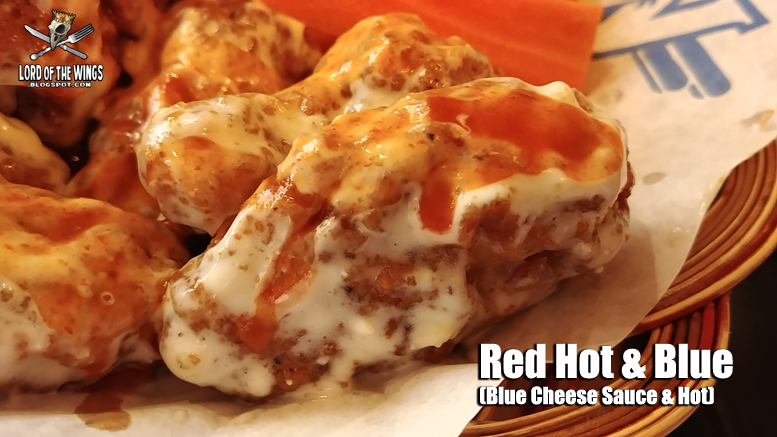 LJ's first order was Red Hot & Blue, blue cheese sauce and hot mixed together. She really enjoyed these wings and I gotta say, they were pretty good. I mean, it's hot sauce, which is good, and creamy blue cheese, which is good. What's not to love? My first order was from the potato chip seasoned section. I love potato chip dry flavoured wings, usually dill or ketchup chip powder, but this time I decided to get Sour Cream & Onion. 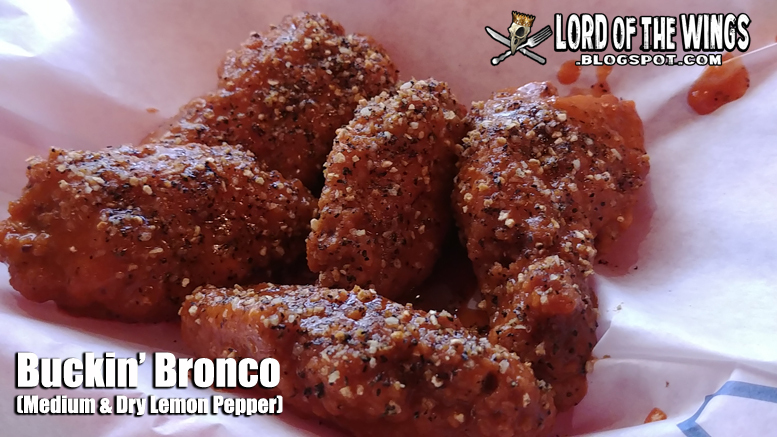 These came generously dusted, but unfortunately they were a little weak in flavour. LJ found them flavourless, but she prefers very bold flavours. I did taste the sour cream & onion powder, and it was good, but just not strong enough to be as enjoyed as it should be. I ordered the dry sour cream & onion knowing that I could expand my flavour sampling with a side of sauce on the side. 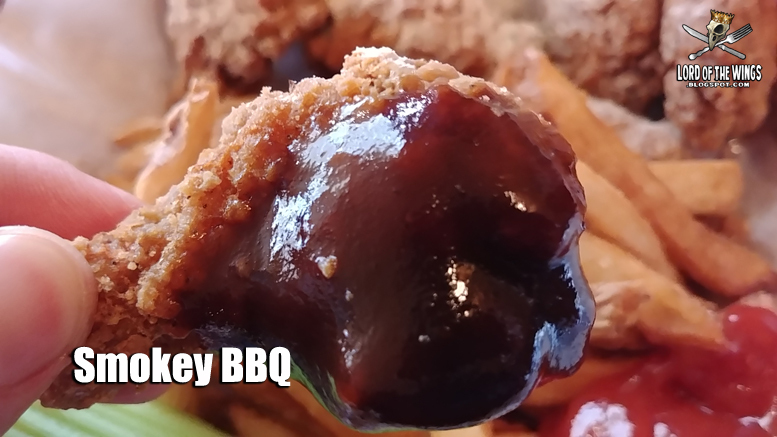 There were a number of BBQ options I was mulling over, but ultimately went with simple Smokey BBQ. This was a good, bold, smokey BBQ as promised. It was more dark flavoured then sweet, and paired well with the crispy chicken, and could have been good with the chip flavour underneath, but the BBQ completely overwhelmed it. 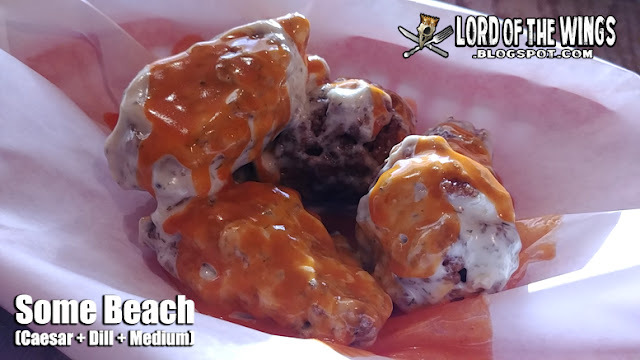 LJ had 3 other sauces in mind but made a last minute switch to Buckin' Bronco; a medium sauce and dry lemon pepper seasoning. It sounded interesting, but was not as good in execution. LJ found it way to sour and couldn't finish one whole one. I found it sour (not as sour as she did) as the lemon pepper is quite puckering. I liked having one or two of these wings, but would not want a full order of them. I pondered a few different flavours - I didn't want a hot or a creamy or a dry or a BBQ. Snakebite seemed to be a middle ground, being a hot sauce and honey mustard mix. LJ also found this one too sour, and it was a bit. It was a bit too sweet - I would not have a full order; 5 was enough. LJ knew she wanted to stick with the combination she liked; creamy and spicy. Some Beach was exactly that. Creamy Caesar, creamy Dill, and Medium sauce. 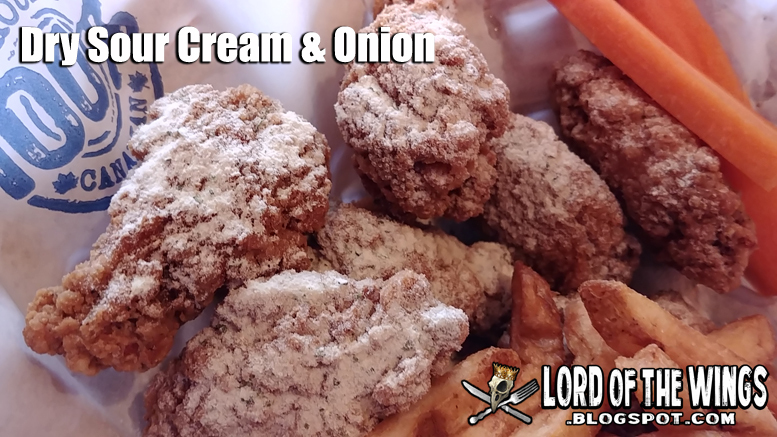 The creamy kinda gets mixed together here and medium could have been Hot instead, but this was a tasty wing. I also wanted to end on a high note. 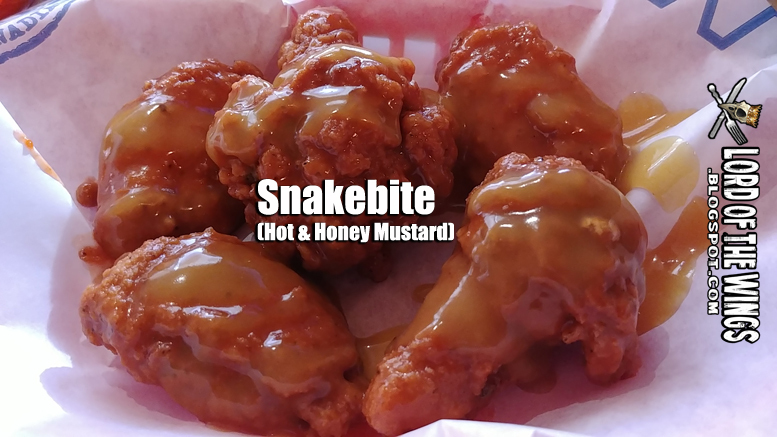 This is a go-to of mine at Wild Wings. I like dill and I like hot. 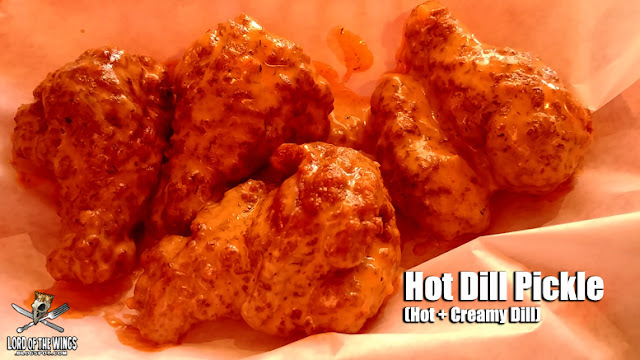 This is creamy and hot and dilly and good. It's just that simple. 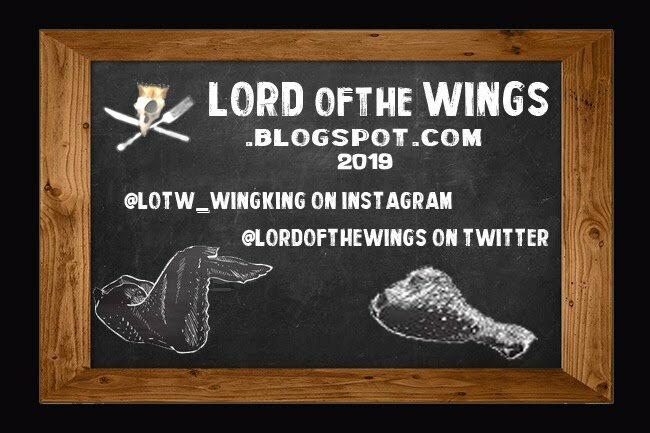 Overall we had a good feast of wings. I could probably have gone one more round, but I would not have been happy afterward. For LJ, her first round of the Red Hot & Blue was her favourite. Hot Dill is still my tops. 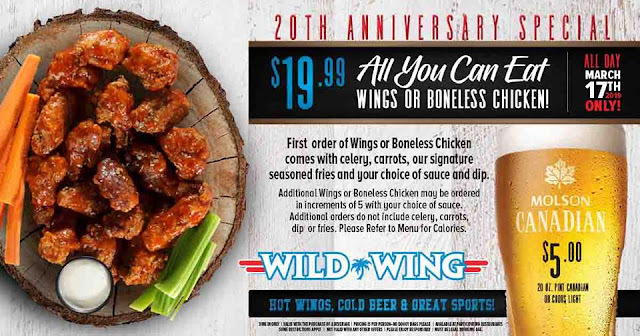 Happy Anniversary Wild Wings! We had some good wings and a good time.